Neat, tasteful decor. Large windows create a bright, friendly and homely atmosphere. Quality construction with fine materials for hardwood and tile floors. Iron / ironing board. TV, DVD, music system. 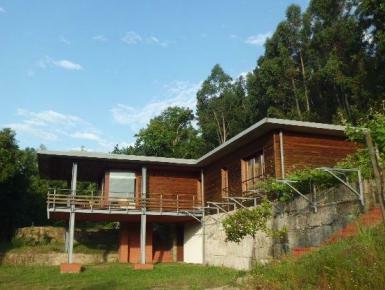 House-4-Room for 5 persons, 120 m2. Living room with sofa, fireplace (wood provided), dining area, terrace. Open plan kitchen (ceramic hobs, oven, microwave, dishwasher, freezer, coffee maker, electric kettle). Daily bread and milk delivery to the house inclusive. Tennis court in the next house to use a surcharge.